ANSCHÜTZ North America is pleased to announce our new partnership with RWS! We offer a wide range of their smallbore ammunition, pellets, and loaded centerfire ammunition. Our partnership has been established to exceed our customer’s expectations by offering a large inventory of RWS products, and to also provide a detailed system of inventory management and lot testing to support competitive shooters of all disciplines. 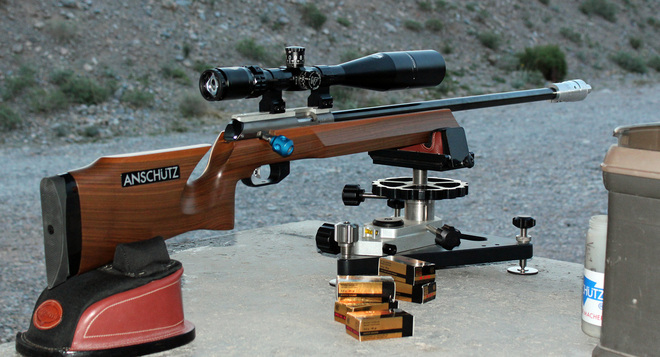 We believe that lot-testing is a cornerstone of accuracy in both smallbore and precision air rifle, and we will not only offer a lot-testing program, but to also offer suggestions as to what a shooter should select based on their needs. ANSCHÜTZ North America purchases directly from RWS and brings the very best lots of ammunition to our customers. Our desire is to create a level playing field for all competitors, and we will do so by an honest and open system of lot testing and selection. Shooters who are serious about their accuracy buy from us. You cannot find this level of service from any other dealer. It is our goal to help you match the best lot of ammunition to your rifle - no matter what grade of ammunition you are interested in. Lot testing lower grades of ammunition can result in excellent accuracy for less money. This ammunition is not picked over, not second rate ammo, not lots that were first tested by "special shooters" and then passed on to us. 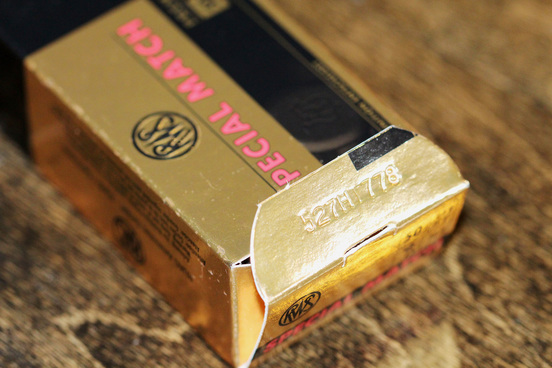 This is the very best ammunition that RWS has to offer, and we buy directly from the factory. There are no "middlemen" in our process. 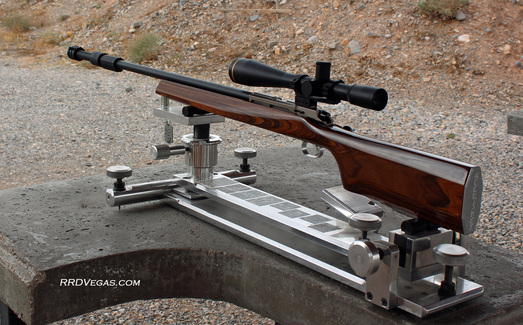 As many shooters know, lot testing is essential for developing the very best accuracy in a rimfire rifle. Most shooters approach this process by testing as many lots of ammunition as possible in order to maximize their chances for success, but the downside is the considerable cost of this process. This cost has made extensive lot testing unrealistic for many shooters, and thus they only test a few lots and make a selection. Considering that we go to great lengths to bring in a very wide range in lots to test, it didn't seem logical to make testing so expensive and prohibitive for most shooters. To help reduce the lot testing cost to the shooter, all lot testing samples are 20% off retail price! For our Custom Shop buyers additional discounts are on a per box basis. Discounts do not apply to special promotions. We are doing this not only to reduce the cost of testing, but to also encourage lot testing for other product lines. We often have multiple lots of RWS Subsonic HP ammunition, and lot testing of these can yield some surprising results. Same with Special Match; lot testing of this line can really impress a shooter. For pellets, we will offer the first 500 pellet tin at 20% off retail for lot testing as well. Congrats to Ron Uthus..! With RWS R-50.. Great Shooting Ron. To order ammunition, call in your order to 205-655-7500. If you get voice mail, please send us an email with your contact info and we will get right back to you. Please review the following ammunition sales restrictions. This is a short list of all the locations where either ammunition is prohibited for sale or carries additional restrictions. It is your responsibility to make sure you are complying with the local laws in your area. • We ship ammunition to your door via UPS ground. If you are not sure about ammunition shipment, please calls us and we will help figure this out. 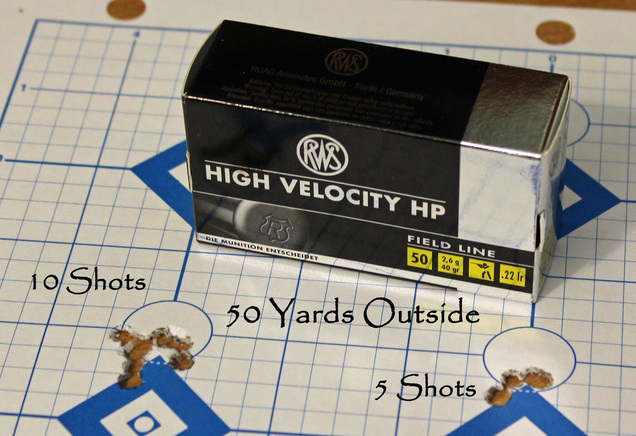 RWS High Velocity at 50 yards. 1. We do not hold ammunition aside for lot testing. 2. Credit Cards are preferred for ammunition ordering. If you are paying by check, we will not send the ammunition until the check is processed by our bank. 3. Inventory will be updated frequently. 4. Because there is a limited amount of product per lot, it is important to test your sample lots as soon as possible. 5. If for some reason the ammunition needs to be returned for a credit, there is a 25% restocking fee. Some of the quantities may be confusing at times to shooters, so we have listed the breakdown of the packaging for smallbore ammunition and precision pellets. If you are looking to find the lot number on the ammunition box, look on the side for a printed number or on the inside of the box flap. The number is pressed into the box at the factory and is never altered. If you ever have questions about the ammunition, please feel free to contact us. We maintain a strict ammunition control program to ensure there is no tampering with the ammunition once it arrives from Germany. The following section is a list of the smallbore ( .22lr) ammunition we have in our inventory. The lot numbers and quantity will updated when large inventory changes occur.